Nestled between Kingston and Brockville, Gananoque is the the Canadian Gateway to the Thousand Islands in the St Lawrence River. 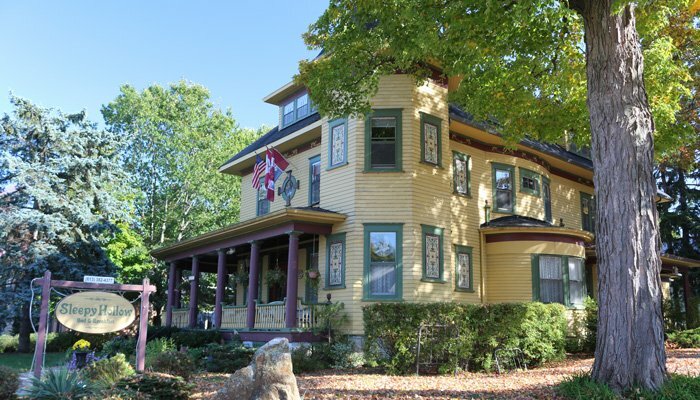 Come discover Sleepy Hollow Bed & Breakfast. Built in 1905, Sleepy Hollow is a three-story mansion, complete with a turret and wraparound porch a perfect place to escape, relax, or arrange a special get together....like an Elopement! Your hosts, Don and Marion Matthews, began running Sleepy Hollow in 2001 and specialize in making your stay in our home a pleasant and memorable experience. Our home is enhanced with collections of vintage photographic memorabilia, toys, and dolls, antiques we have collected over the years to make it our home. We have restored this romantic home to its original splendor. Our home, Sleepy Hollow, boasts an extensive, elegant living room, a plentiful library, a formal dining room, a pool table on the second-floor landing, and central air conditioning for your enjoyment and comfort. Speaking of comfort, one of our rooms, Tara, has "SofTub" hot tubs in the winter, Camelot has a very comfortable soaker tub, and the Travancore room has a whirlpool tub! In a move to maintain the original building and still be safe and secure, a full sprinkler system and emergency lighting were added to Sleepy Hollow. We guarantee that breakfast will be a highlight of your stay (after all, breakfast is half of what we do). Enjoy your choice from our delicious eight-item menu, complimented by fresh fruit, fresh baked breads, excellent coffee, and teas, including herbal teas - click here to find out more about the menu! Click here for our suggested Itinerary while staying with us. We began this Bed & Breakfast with thoughts about how we would organize our home and make it an experience for your guests. 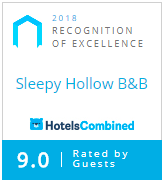 So many people are really into books these days and book clubs that we decided to name our rooms and Sleepy Hollow as well after places and subjects in books. Lots of folks in this part of the world are familiar with Sleepy Hollow, the story, thanks to Walt Disney. 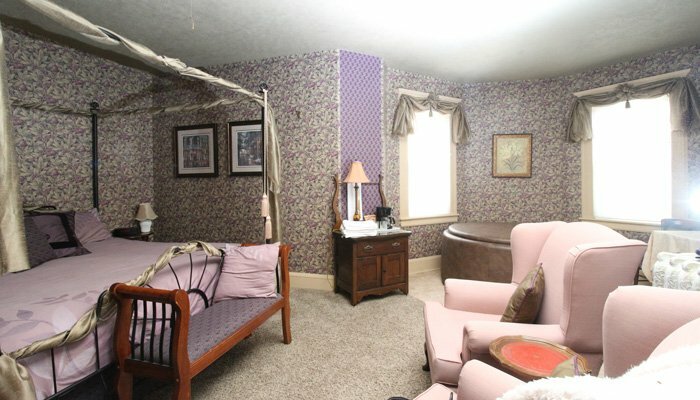 Each of our rooms are named after places in books, Tara, Avonlea, and the other 5. The book that is associated with each room is in the room. Tara for instance, has “Gone With the Wind” and the rest have appropriate books as well. We even have a small library with books that interest us and some that have been left by guests that left them. Take a book, leave a book, and enjoy your stay. Constructed in 1905, as a three-storey mansion for the prominent Gananoque manufacturer and provincial politician, Frederick J. Skinner, the Queen Anne Revival Style building was designed by the architect Frank T. Lent, and constructed by the firm Mitchell and Wilson (Figures 1-2). Lent worked as an architect in the United States, principally in Massachusetts and New York State before establishing a practice in Gananoque and Thousand Island area with a focus on suburban and summer residences. The firm of Mitchell and Wilson was a major lumber and building operation in Gananoque prior to and following the construction of 95 King St. W., and was responsible for many prominent structures in the area. Breakfast began in 2001 when we opened with a ton of ideas about what we would serve and over time we have changed the menu several times but always with a choice of several items so that everyone will always find something the like. Currently, we have 8 items on the menu and from time to time we have made changes but always small changes. 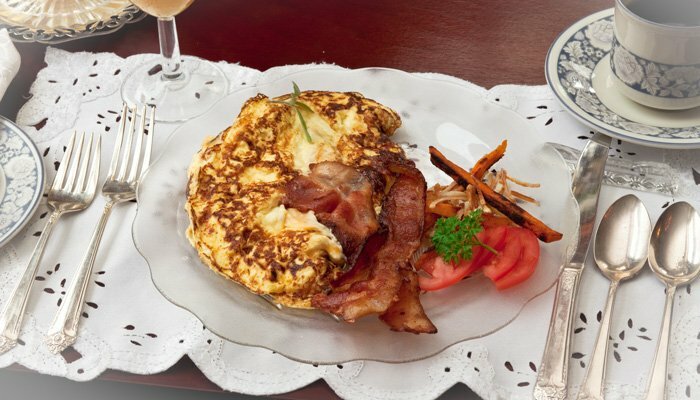 The concept of having only “chef's choice” menu just doesn’t seem to fit a B&B where the guest should have the last word on which room appeals to them and what they like for breakfast. Don and Marion enjoy working in the kitchen together to make Breakfast a highlight of your stay. ALL of Canada is "on Sale"! For all Americans, Canada is having a "20% off sale". That means our $160 CDN room is about $128 US on this side of the border (click at the top of this page (Check availability Make a reservation tab) and select US$ on the tab that says "CAD$" at the very top next to "Guest Rooms & Suites" tab to see approximate prices in US$ when the exchange to Canadian dollars is calculated). The current exchange rates mean that your American dollar has more buying power in Canada. Check today's exchange rate from the central bank, click HERE. Thinking of moving from the US to Canada? 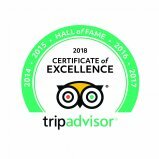 Come for a visit and have a look at what there is to offer. We can help you look around at the wonderful parts of Eastern Ontario that attracted us to this part of the country. The convenience of living just 3 hours from Toronto or Montreal and just a little over an hour from Ottawa make Gananoque a great place to live. Just come for a visit and ask us. Recognized in the top 3% of accommodation worldwide for Customer Satisfaction.